The Dreamforce '18 Agenda Builder is here! 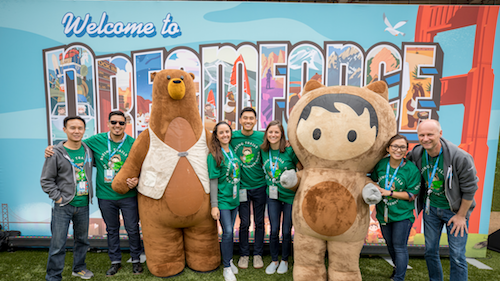 This is your go-to tool for taking that first step to becoming a Trailblazer in your career and at your company at Dreamforce. Use it to save, bookmark, and register for sessions that you want to attend at Dreamforce. Also, create your personalized schedule so you know just where and when you need to be each minute of the conference. 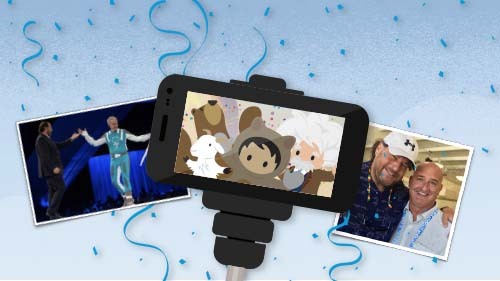 All full conference pass holders can log into Dreamforce.com, go to the sessions tab, to find the Agenda Builder and what you're able to register for! Here are a few insider tips on how to use the Agenda Builder to create a fantastic schedule for Dreamforce '18. These are my secrets to finding and booking the best content from our 2,700 breakouts and theater sessions, 100+ hours of hands-on training, 100+ Circles of Success, and 50 workshops. Use them wisely! We have 18 industries, 20 roles, 32 products, 41 themes, and 3 levels for you to filter the Dreamforce schedule down to what you want to find. I suggest that you begin with your role, as this will help you find the sessions best suited to you. Then, layer on those themes, industries, and products that you’re interested in. We are excited to have Einstein back again this year to select and suggest sessions for you based on your interests. By using the Agenda Builder, Einstein can analyze your bookmarks and the sessions you attended the previous day to offer up new suggestions. It's the power of data and analytics at your fingertips! 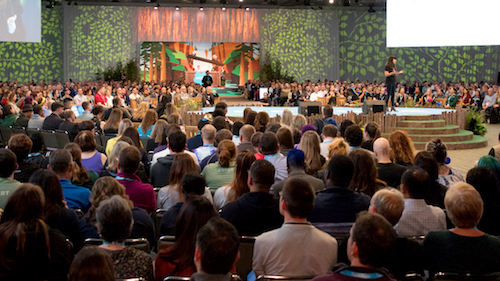 To get a head start, bookmark the sessions that you're interested in attending at Dreamforce. Then, with Agenda Builder, you can easily reserve your seat. We have 1,200+ twenty-minute theater sessions for you to choose from so make sure to include them in your schedule. These sessions contain success stories, tips and tricks, and action-based information that pack a punch. Only book three or four sessions per day so you'll still have time to explore and enjoy those unexpected micro-moments that pop up all over the Dreamforce campus. Striking a good balance is key because Dreamforce has so much to offer! Don’t let the size and scope of Dreamforce overwhelm you. There are magical moments happening all over our campus. So if you don’t get to something on your schedule, look for a repeat, a similarly-themed session, or wait for the recording to be available on Salesforce Live at YouTube.com/Dreamforce after the event. We have more repeats and new session formats this year than ever before, so make sure you locate those while building your agenda. We have an unbelievable lineup of high-profile and celebrity speakers and topics in our Dreamtalks, Summits, Industries, and Product keynotes so make sure you add a few of these to your list. Even if a session looks booked on the Agenda Builder, remember that we save 25% of all seats (*except for Hands-on-Workshops, Circles of Success, and a few workshops) for walk-ins to ensure the people who want to attend can. But, of course, if you are dying to catch a certain session, I recommend you get there early. Use Chatter to talk to our speakers. Chatter is enabled in every session so ask questions, request a copy of the presentation, and begin a dialogue with our session owners. Above all, we encourage you to see something that has nothing to do with your job or industry! If you are a Marketer, go to the Developer Meadow in Moscone West convention center. If you are a Developer, go to the Marketing Zone in the iconic San Francisco Palace Hotel. 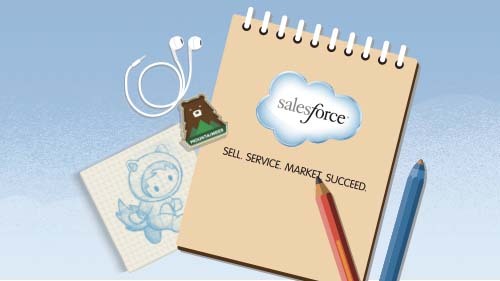 And use Salesforce technology to make your experience that much better. Check out your Einstein suggestions in Agenda Builder to add to the incredible, awesome, intense, and unpredictable experience that is Dreamforce. On behalf of our 4,000+ speakers, session owners, and content leaders, enjoy blazing your trail at this year's Dreamforce!